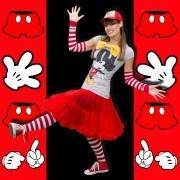 Mickey Mouse fans will absolutely love our Mickey Mouse party! Your fabulous children’s entertainer in the style of a children’s channel presenter, will bring tons of high energy Mickey Mouse party fun to your Mickey Mouse party. 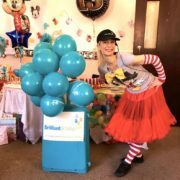 A completely stress-free solution, you can relax whilst your birthday child and up to 30 of their friends have the time of their lives at your Mickey Mouse Party. 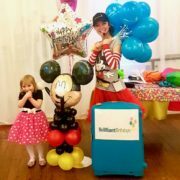 One of the best children’s entertainers in London will provide Mickey Mouse party crazy games, dancing, bubbles and more. 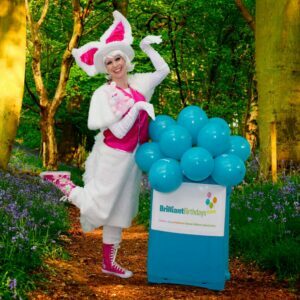 Travel is free for Mickey Mouse parties within the M25, with a 40p per mile charge from and to the M25 for Mickey Mouse Non Mascot parties further afield. 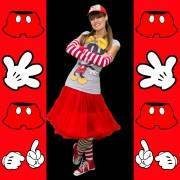 If your looking for a Mickey Mouse party with a Mascot Visit please select the “Mickey Mascot party” from the previous page! 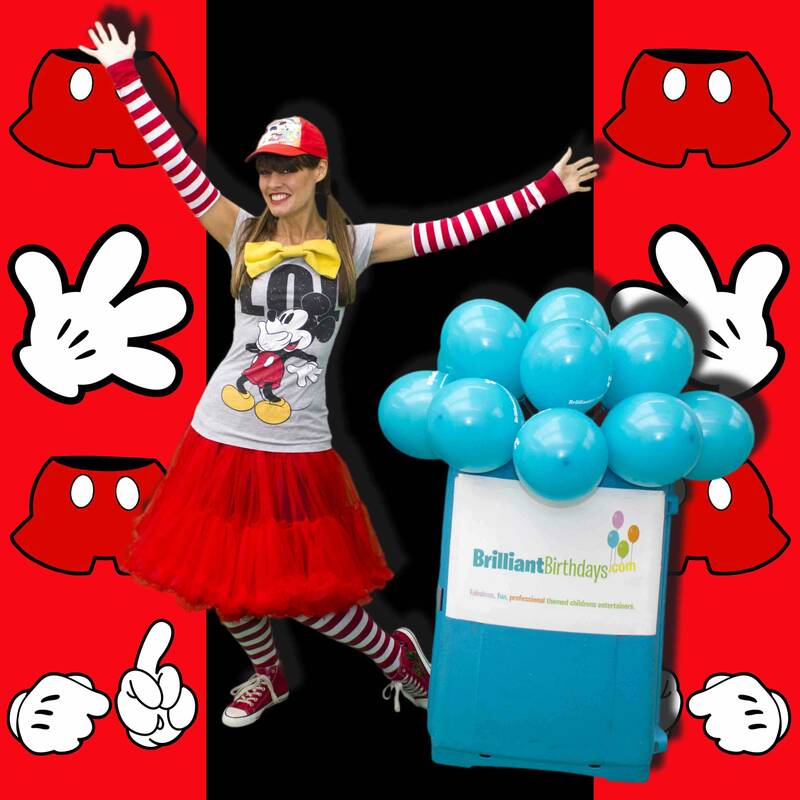 If your looking for a cost effective Mickey Party without a Mascot Meet & Greet you have come to the right page! 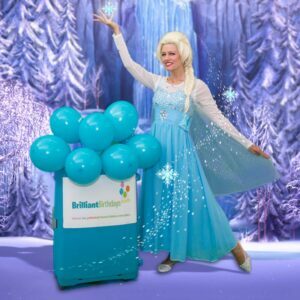 Click below to make your child’s dreams come true with a party that will be the talk of the playground! 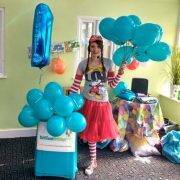 Hiring Brilliant Birthdays for my daughters party was the best money I have spent in a long time. 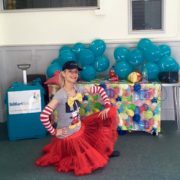 Our entertainer, Sarah Jane, arrived on time, set -up and was ready to welcome the children. She kept 30 children happy and entertained for two full hours and for the time it took all the children to leave. I had compliments from several parents, who said that she was much better than the entertainers they had used and that you could really see that she enjoyed her job. I would like to thank all involved, at Brilliant Birthdays for making the day as stress free as possible. I would recommend these guys to anyone who is interested hiring a children’s entertainer, they gave 100%. Garry was a great entertainer! Arrived early with plenty of set-up time. Price was reasonable and the kids had a blast with lots of games and gifts included. Would definitely use again. 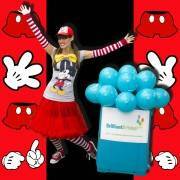 We had the Non Mascot Mickey package for an hour and our entertainer was brilliant! She had the children laughing and engaged for the whole hour. I will definitely use Brilliant Birthdays again next year! 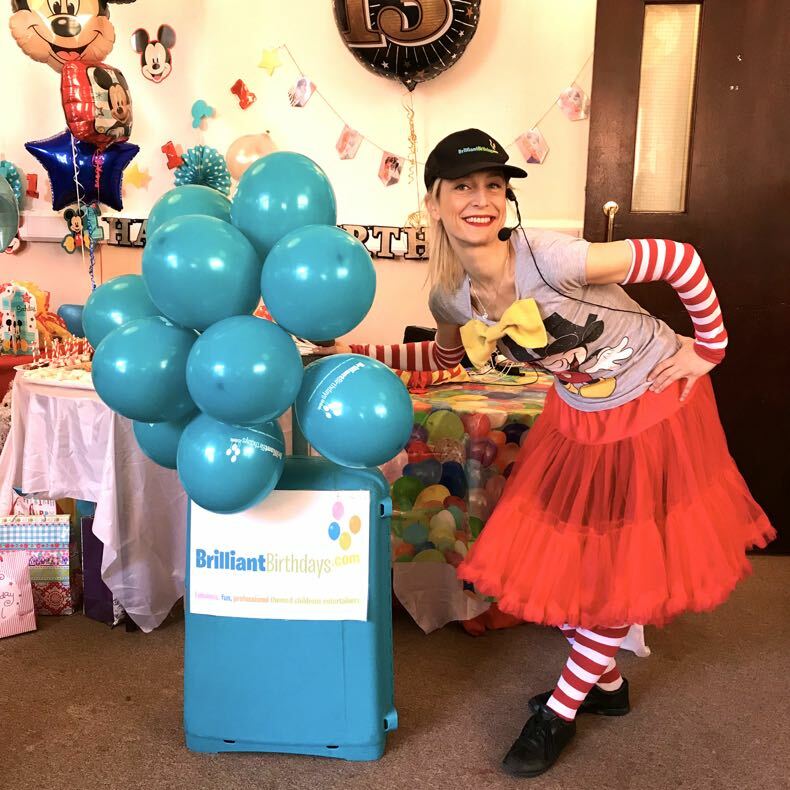 Highly recommend Brilliant Birthdays – Mickey Mouse entertainer for a 2-6yr old party people was fantastic and fun 🙂 Many Thanks! Mickey Mouse entertainer was excellent with the kids, she had all 30 of them entertained for the full 2 hours! An excellent party all round. Thanks Brilliant Birthdays! Awesome party! I must say you guys really are brilliant! Great Job Thank You so much! Definately would recommend! 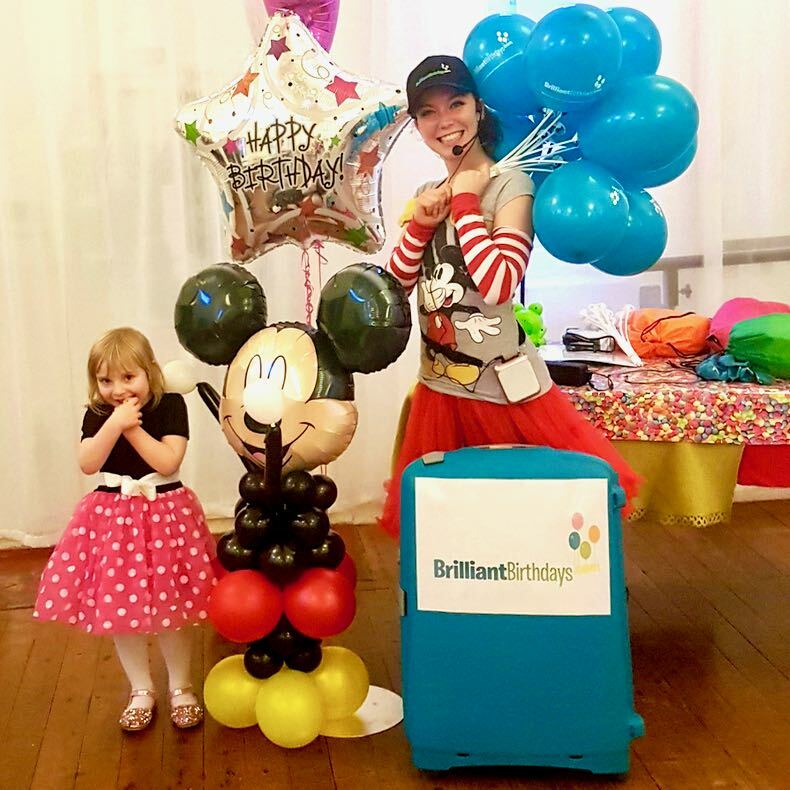 Thank you brilliant birthdays for an amazing Mickey Non Mascot Party! Mickey Mouse entertainer did great job. I give you 5 stars. Well done! See you next year !!! 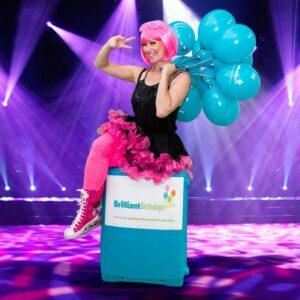 Wonderful Entertainment from a company that goes the extra mile! Very impressed! Thank You Brilliant Birthdays! 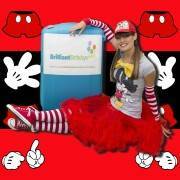 We booked entertainer for Mickey Non Mascot Party and I can say only the best! Great kids games, a lot of fun and lovely prices! I would definitely recommend you to everyone! Excellent Professional Party Entertainment provided by this company! I will book again next year! 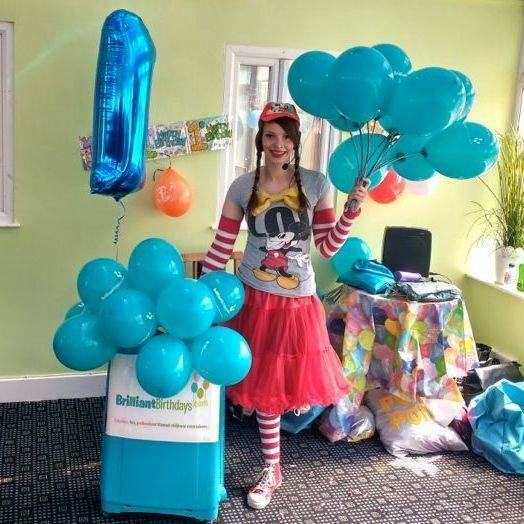 We were sent an entertainer for my sons 3rd birthday party and we were amazed at the quality of the entertainment . Claire sorted everything out for us and we didn’t have to worry about a thing. Everyone had s great time. Cannot recommend Brilliant Birthdays highly enough…. Our entertainer arrived very early which was great stress relief. She engaged well with both the birthday girl and all the other children. She had all the kids having loads of fun very quickly. I didn’t know anything about Brilliant Birthdays before the party but I did my research online and and Google had some lovely comments so this gave me confidence to book. The booking process was professional and easy.. Thanks again for a great party! Thank you so much for our lovely party.. Your entertainers are amazing, I was so impressed with their level of energy, enthusiasm and professionalism. They are indeed Brilliant. Many Thanks!!! We are very happy with your service.. always professional and brilliant ! We are with you 4 years already and will keep booking you. Many thanks Brilliant Birthdays! Thank you for a wonderful 3 hours of entertainment at my daughter’s 1st birthday party.Christina really took the stress out of us while we were able to enjoy the party. The kids were kept engaged for all the time with different activities, and they loved glitter tattoos. Thank you and highly recommended Brilliant Birthdays. I have to share just how amazing our entertainer was! She was so energetic and really connected with the children. She kept them all up and dancing, or playing games, for the whole 2 hours of the party. 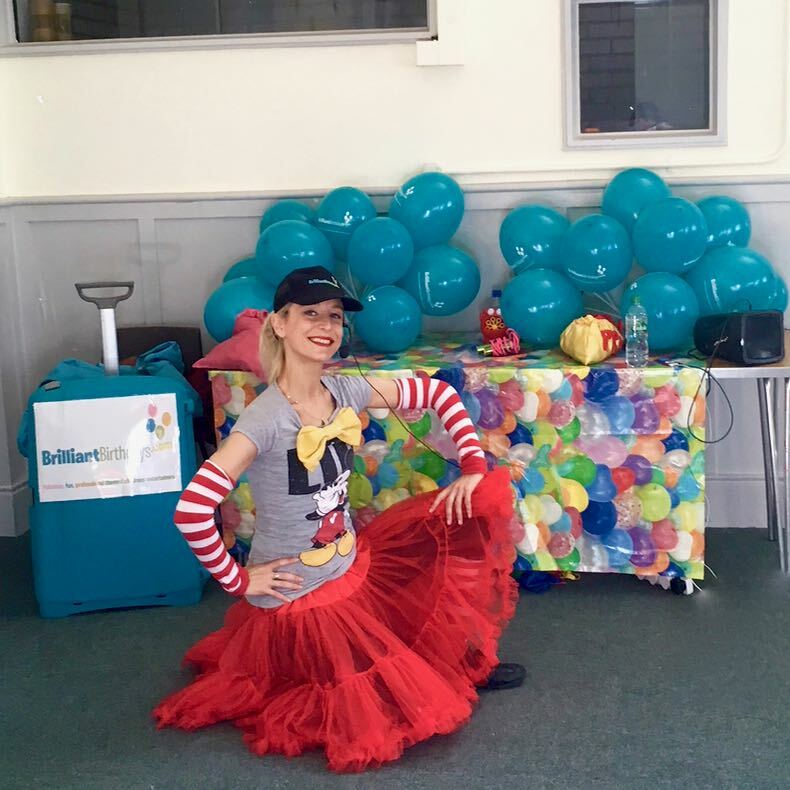 The whole experience with this company has been very positive, from very professional service on first contact to initial contact with the entertainer a few days before the party to go over the details. Really happy with the experience overall ! Many Thanks! Brilliant Birthdays are fantastic!!! This is the second party they have done for us and we highly recommend them. Thank you!! Our house turn into a fun club house with a wonderful Mouse entertainer from Brilliant Birthdays last Sunday! Thank you so so much! The kids entertainer was professional, experienced and knew what she was doing. 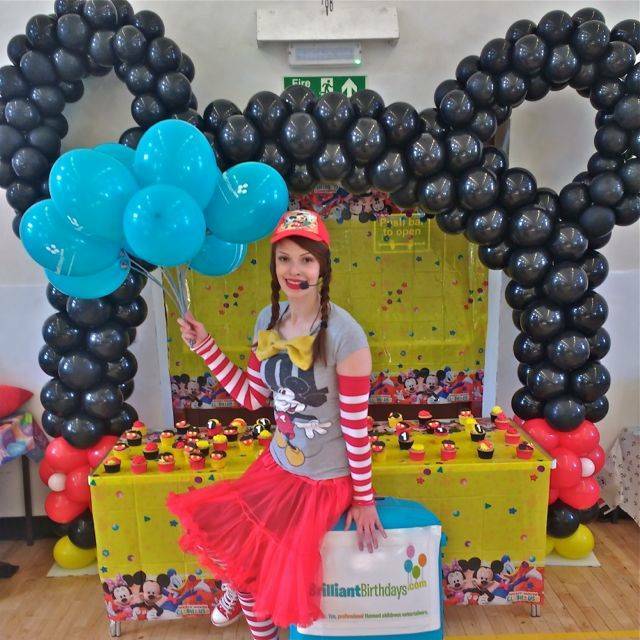 Se made sure all kids got the attention, she was organised, and very child friendly… Thank you Brilliant Birthdays!